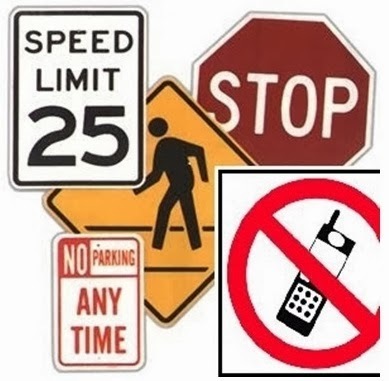 Government of India is planning to implement a British model of traffic violation penalties in India which includes adding a negative point based system along with Penalty amounts and Serving time jail. Each traffic offence will attract specific negative points on the licence.Once a driver accumulates 12 negative points, his/her licence would be suspended for a year. If a driver whose licence has been suspended still commits offences and accumulates another 12 points, the licence would be cancelled for five years. 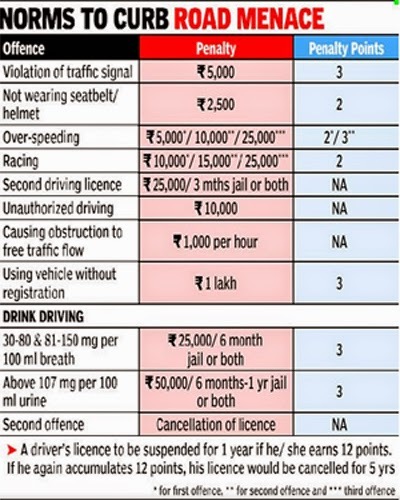 Fine of Rs 1,000 per hour on vehicle owners for disrupting traffic flow on any road. If caught second time then drivers licence will be cancelled. If a driver whose licence has been suspended still commits offences and accumulates another 12 points, the licence would be cancelled for five years.